Just north of the pristine Canaveral National Seashore in New Smyrna Beach, Seacrest is a collection of luxury condominium homes directly oceanfront. This newer building offers spectacular panoramas over the Atlantic Ocean, distinctive architecture, superb interior space planning and an exceptional array of amenities. This gated community sprawls over a lushly landscaped three-acre site like a finely faceted gem in a rare setting. Seacrest is situated in a prime location, adding instant convenience to area attractions, shopping, dining, recreation destinations and arts centers. 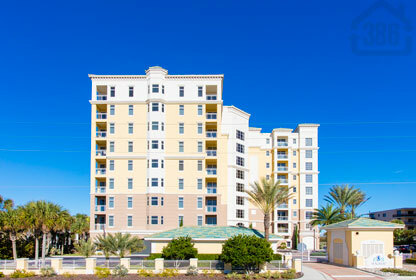 Call us today to explore these exclusive condos or any other oceanfront condo building in New Smyrna Beach. You won’t be disappointed.